You can increase the weight on your bench press today! You don’t need to create a whole new strength training program to break through your weight lifting plateau. Improving your bench press technique will result in significant, immediate results. The technique described here is based on form with proven results in powerlifting bench press competition. I noticed over the last year that my own bench press was comparatively much stronger than my other powerlifting events. I have never focused more on my bench press training, so I spent a good deal of time trying to determine exactly what it is that’s working right to increase my bench press strength. Through the course of that assessment, I’ve put together a list of relatively simple techniques that you may use to increase the weight you are putting up. Although my intent is to help experienced lifters increase their bench press, if you are a novice, you might find the tips useful to improve your technique. Let me start by saying that I cannot take credit for developing these bench press techniques. I’ve picked them up from reading articles and training with some very impressive powerlifters, as well as my own experience. I am a powerlifter. The techniques I use are focused on one thing-improving the total amount of weight I can press for one repetition. I do not lift to build muscle mass, although that is a natural side effect of heavy weight training. The tips below revolve around several concepts aimed at increasing your maximum single repetition lift (often called your one rep max, or 1RM): conserve your energy, involve all of your muscles in the lift, and reduce the distance you move the weight. I also comment on key supporting exercises. Lifting heavy is about conserving energy, using the smallest amount of energy possible to lift the largest amount of weight possible. Always use your spotter to lift the bar out of the rack; practice an effective handoff with your spotter-you want the hand off to be smooth and quick. During the eccentric phase bring the bar to the chest as quickly but controlled. Power is a function of both weight and distance; if you reduce the distance, you will be able to move a greater amount of weight using the same amount of power. Practice arching your back during your bench press Powerlifting Basics: Arching Your Back to Increase Your Bench Press. Take a deep breath into your chest; hold it during the eccentric phase, and begin exhaling as you pass your sticking point in the concentric phase. 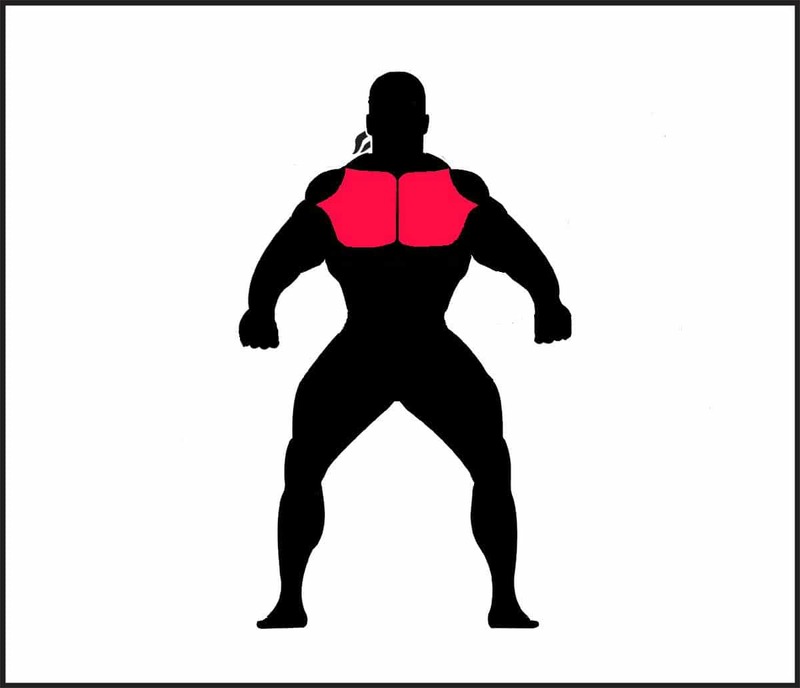 Squeeze your shoulder blades together keeping your shoulders in contact with the bench throughout the lift. To lock out the weight concentrate on simply locking your elbows out using your triceps, not raising the weight higher. When focusing on powerlifting, you want to include all of your muscle groups to lift as much weight as possible, versus focusing on a single muscle or groups of muscles. Keep your lats tight throughout the lift, starting once the bar is un-racked; thrust the weight from your chest with your lats as you begin to press. Concentrate on your muscles contracting as you lower the bar, preparing them to explode driving the weight up during the concentric phase of the lift. Tuck your elbows in towards your body to allow you to bring the bar lower on the chest, and reduce strain on your shoulders. Use your triceps to lock the weight out once it passes the sticking point. Plant your feet firmly and drive through the balls of your feet towards the head of the bench; your quads should remain tight throughout the lift, and your heels should remain flat on the floor. You include many muscle groups in your powerlifting bench press, it’s important that you don’t neglect them in training. Your lats play a significant role in your bench press, make sure you train them hard as well; my weekly back workout typically contains pull-ups, lat pull-downs, and at least two additional rowing exercises. Build strong triceps; I always begin with heavy compound lifts such as close-grip bench press and dips and finish with one or two isolation exercises, such as skull-crushers and cable pushdowns. Have you noticed that the biggest benchers have huge delts? I have, and I hit them every week with military press, and dumbbell raises hitting them from the front, side, and rear. These tips will improve the power in your bench press. After reading an on-line article a couple years ago, I simply applied the concepts of squeezing my shoulder blades, and thrusting from the chest with my lats and increased my own bench press 20lbs, breaking 400lbs for the first time in my very next workout! If you decide to try out my tips, I’d like to hear how it works for you. Feel free leave comments on this article letting me know what works-or what doesn’t. If you find this article useful, why not share it with your friends and collegues. Feel free to post the link on your networking site (Facebook, Twitter, Stumbleupon, Digg, Reddit, etc. ).